It isn’t often that I get obsessed with artists, writers, and poets. But it happens, and when it does I simply can’t get enough of them. As a result, I will read/listen to/watch as many of their creations as I can get my hands on. Some of my previous obsessions include (in chronological order): Stephen King, Radiohead, Quentin Tarantino, Cormac McCarthy, Arcade Fire, Sylvia Plath, and The National. My latest obsession is with artist/writer Kim Krans, the creator of the Wild Unknown. To begin with, she is beautiful, creative, and intelligent. But my admiration goes far beyond that. I sincerely admire her creative drive. She has passion and an amazing work ethic that has led her to create music, calendars, a tarot deck, an oracle deck, a children’s book, jewelry, clothing, and more. Her creative vision is unstoppable, and her art will live on forever. As an aspiring writer and artist she is the quintessential role model. Not that it came easy. Kim worked hard to hone her craft. This is how she answered Portland Apothecary when asked what she turns to for inspiration in her work. It wasn’t long ago that I purchased the Wild Unknown Tarot deck, and I was instantly smitten. It is incredible. So when I learned there was an accompanying oracle deck called the Animal Spirit deck, well, I couldn’t exactly wait until Christmas to get it. I encouraged my husband to buy a new video game and I placed my order ($56 with shipping) guilt-free. He gets his, I get mine. The Animal Spirit oracle is the perfect accompaniment to the Wild Unknown tarot. While the Wild Unknown Tarot provides a clear glimpse of all elements of day-to-day life, the Wild Spirit oracle provides a big picture view of our personal development. As you all know, the person we are today is not the person we were last year. We are constantly growing and evolving, changing and morphing. 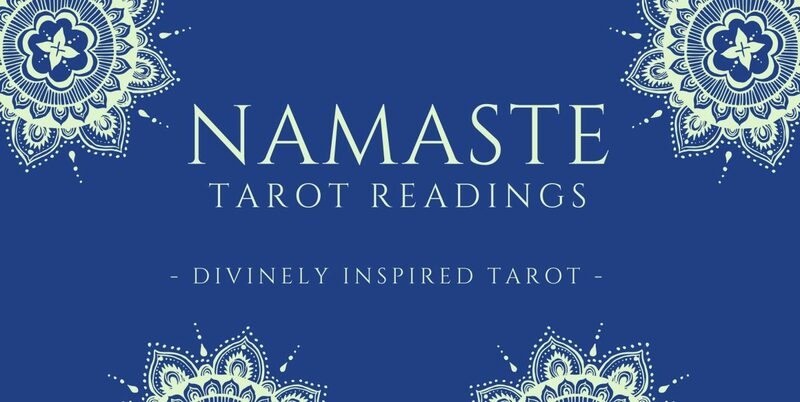 Using this deck in tandem with the tarot deck provides a deeper glimpse at ourselves and our current place in life, as well as where we are going. Kim fashioned this oracle deck and the animals therein around the five elements – earth, fire, water, air, and spirit. This further enhances the connection of this deck with the world at large. I decided to use this deck to enhance a reading with the Wild Unknown. The example is below. In recent months I have felt a strong desire to write my own story with tarot and/or continue to education on a completely new path, so I decided to probe that issue. Question: What do I need to know about my calling to work professionally and/or write about tarot? I jumped into reading professionally and developing a website and blog with a lot of unbridled energy. My efforts were bold, and I certainly didn’t ask for or consider the input of others in moving forward. My efforts were exhaustive and I didn’t take it slow. Within the course of a few days I had a blog and a website completely operational. This is the final card of the Animal Spirit deck, and it represents cosmic completion and the seventh chakra. The decision to move forward with reading professionally and writing about tarot was based on the long journey I took in exploring it. It was only after a long period of dedicated study and practice that it was set into motion. Only when I felt I was fully developed in this area did I proceed. At this point I am reading professionally but certainly not enough to justify leaving my career in education. I have choices to make about where I go from here. I need to decide what my next steps are. I have been feeling torn about where I should focus my attention. Should I return to school for another advanced degree to further my career in education or psychology, or should I honor my creativity and spirituality and pursue learning that supports my spiritual desires? Or, should I continue my day job and dedicate myself to a daily writing practice? Whatever I choose, I must honor and nourish my relationship with the tarot. It is my passion. The turtle is grounded and connected to life. It collects life experiences and preserves these ideas under its shell for the future. The turtle energy is the energy of writers and storytellers. My current experiences are teaching me where to go from here. A welcome sign – there is fulfillment and abundance in the future! The groundwork I lay now will result in success and achievement in the material plane. Whatever I choose to pursue will ensure a firm financial footing for myself and for my family. It is imperative that I remember to take care of myself even as abundance abounds on the material plane. There is a tendency in the frog to become overworked and undernourished. Connecting to the source is paramount. Though frogs spend much time on land, water is critical to them! Water is rejuvenating to frogs, so when I feel bogged down I should seek renewal in lakes, rivers, or the ocean. This is an easy task as I live in Florida and am surrounded by all of the above! I hope you have enjoyed this peek at the Animal Spirit deck. If you enjoy the Wild Unknown I would suggest adding this to your collection when feasible. As the Wild Unknown is the deck I purchased exclusively for my own readings, I simply couldn’t resist and I find it compliments my readings with the deck nicely.